The Grande Golf Club, located just south of Jackson, Michigan right off of 127 continues to get rave reviews. 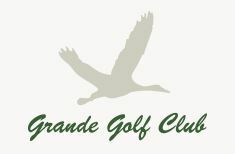 Golf Digest has honored The Grande with their distinguished “Four and a Half Star” rating. Nationally acclaimed golf course architect Raymond Hearn crafted the course directly into its natural features, blending lush fairways and expansive greens into sprawling wetlands and forests. This 18-hole championship golf course, playing as long as 7,157 from the championship tees and as short as 4,785 from the forward tees, promises to be an enjoyable round of golf for your entire group. Come visit us at The Grande, we would love to have you as our guests for the day! 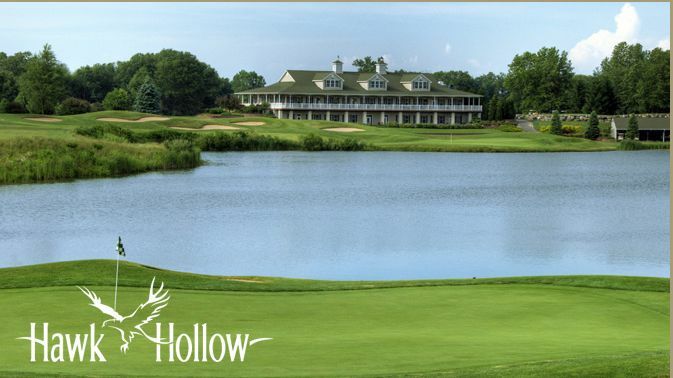 Hawk Hollow Golf Club is twenty-seven holes of Championship Golf — rated 4 1/2 out of 5 stars by Golf Digest and listed among the top 200 “Places to Play.” This 500 acre track will provide you the opportunity to use every club in your bag. Classic Jerry Matthews layout... beautiful! Features • Two full service driving ranges • Short game practice area • 8,000 sq. ft. practice putting green • 18,000 sq. ft. clubhouse • PGA golf professional • Friendly, professional staff. Chris Lutzke, in collaboration with Pete Dye, has designed a rolling "links" style course featuring magnificent shot values on every hole. Eagle Eye provides a challenge from any of five sets of tees... and the signature "Island Green" #17 is simply not to be missed. 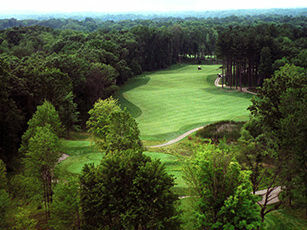 Eagle Eye was rated the 5th-best new course in America in 2005 by Golf Digest, and the 4th-best course in Michigan in 2006 by Michigan Golf magazine. Features: • Driving range included with green fee • Putting greens • PGA golf professional • Home of the Michigan PGA section • 65,000 sq. ft. clubhouse • Locker rooms with showers • Friendly, professional staff. To create a one-of-a-kind golf course, designers must work to preserve as much of the natural vegetation and topography as possible. Windswept Dunes designer and builder Doug O'Rourke has succeeded on all counts. Featuring miles of spectacular white sand dunes (some as high as 20 feet! ), large rolling fairways, artful bunkering and excellent conditioning, this track frames itself in rare, unspoiled beauty. While the 750 acre setting is breathtaking, what makes Windswept Dunes truly remarkable is that there are no crowds, no hustle and bustle at all. Here, off the beaten path, it is easy to be serene; it is natural to be happy. Located about 30 minutes from the beaches of Destin and Panama City Beach, we are far enough away from the crowd to enjoy the serene beauty of this course, but still only a hop, skip and jump back to the worlds most beautiful beaches. The spacious 18-hole is a demanding 7607 yards from the championship tees, but with five additional sets of tees, offers challenge and excitement for golfers of all abilities. As you begin playing the course, you'll know you're in for something special. Lush green fairways are generally wide and generous off the tee. The sand dunes, often stretching from tee to green, present trouble only for the wildly errant shot. Even then, the dunes provide a welcome alternative to a ball lost in a backyard, swamp or lagoon which is your fate at most other courses. In fact, you'll face only a few water hazards at Windswept Dunes. What the tee shot offers in forgiveness, the approach shot takes away with the need for precision. Bunkers gracefully finger their way around most greens. The greens themselves are large and velvety smooth, demanding a deft touch with the putter. Each of the dune-lined holes has its own unique character, offering one memorable experience after another. There is simply nothing like it - and no better value - in the area. You'll be swept away! 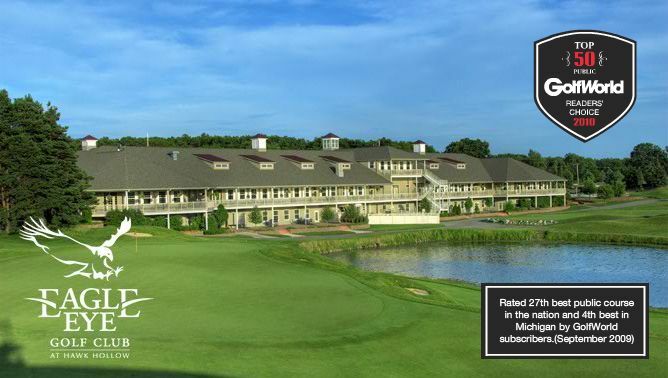 Fox Hills Golf and Banquet Center is located in a beautiful countryside setting between Plymouth and Ann Arbor in southeastern Michigan. Our award winning facilities matched with outstanding cuisine and exceptional level of service will ensure that you and your guests will enjoy an occasion as special as each person involved. As a family owned and operated business we are committed to providing excellence in our service and products and providing our customers with the highest quality experience in a relaxed and enjoyable atmosphere. Whether you are a beginner or seasoned golfer, or looking to host a golf outing our professional staff is here to serve you! If you are hosting a corporate meeting, or a couple planning a wedding reception, Fox Hills will make your experience memorable! A Grand Rapids golf course staple, beautiful Scott Lake Country Club is a 27 hole public facility nestled in the rolling terrain of West Michigan. The golf course is just a short drive from the surrounding areas of Grand Rapids, Grand Haven, Rockford, Muskegon, Cedar Springs, Holland, and Comstock Park, making it the perfect location for golf, leagues, and golf outings. Since 1998, when we expanded to 27 holes, we have renovated or added 15 new holes and an excellent driving range and practice center. These constant improvements combined with our memberships, programs, and online and senior specials have provided more fun and enjoyment for our golfers and allowed us to better serve our golfing community. If you haven't played here in the 21st century, what are you waiting for? Opportunities to make some lasting golfing memories and have a lot of fun are available on each of our three nines. Our new practice facility that includes a large putting green, chipping green, bunker, and an acre of real grass hitting area, provides the perfect retreat to work on those trouble spots in your game or take some golf instruction. This 27-hole championship public course will please the most discriminating golfer. Designed by master golf architect Jerry Mathews, the three 9-hole courses at Sycamore Hills offer a diversified challenge to any golf enthusiast seldom found in one location. 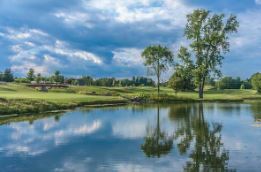 Whether you are playing the South, West, or North Courses, you will find it extremely hard to keep your head down amidst the scenic natural beauty of the Sycamore trees, lakes, rivers and our Scottish "Hills."